McCall 8038 on the cover of McCall Style News, November 1934. We finally got some snow in Toronto. 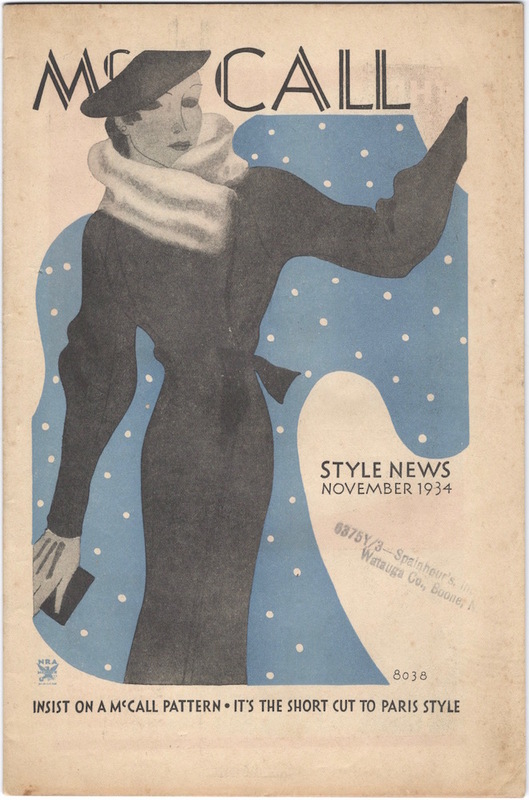 Here’s a winter-themed cover from the mid-1930s. The pattern is McCall 8038, a suit consisting of a high-waisted skirt and tunic-length wrap coat with fur-trimmed collar.